Billie Joe Armstrong is the lead guitarist and front-man of one of the most successful rock bands of all time, Green Day. Armstrong is accompanied in Green Day by childhood friend, co-founder, and bass guitarist Mike Dirnt, drummer Tre Cool, and guitarist Jason White, who officially joined in 2012. As a group, Green Day is one of the best-selling musical groups of all time having sold over 75 million albums worldwide. The band has released a total of 11 studio albums and has been RIAA certified Platinum over 20 times. Their 1994 major label debut album, Dookie, is listed as one of the 500 Greatest Albums of All Time by Rolling Stone Magazine. The group has been honored with 5 Grammy Awards and is one of VH1’s 100 Greatest Artists of All Time. As impressive as their list of musical accomplishments is on its own, there is one additional piece of acclaim that Armstrong and Green Day can lay claim to that VERY few other rock musicians can. The members of Green Day created and produced a show that made it from a small regional theatre in Berkeley, CA all the way to Broadway. That show was eventually nominated for a Tony Award for Best Musical and won two Tony Awards for Scenic and Lighting Designs. Green Day’s American Idiot, which is based on the Green Day album of the same name, is the story of three young men, Johnny, Will, and Tunny, who attempt to escape the confines of suburbia. 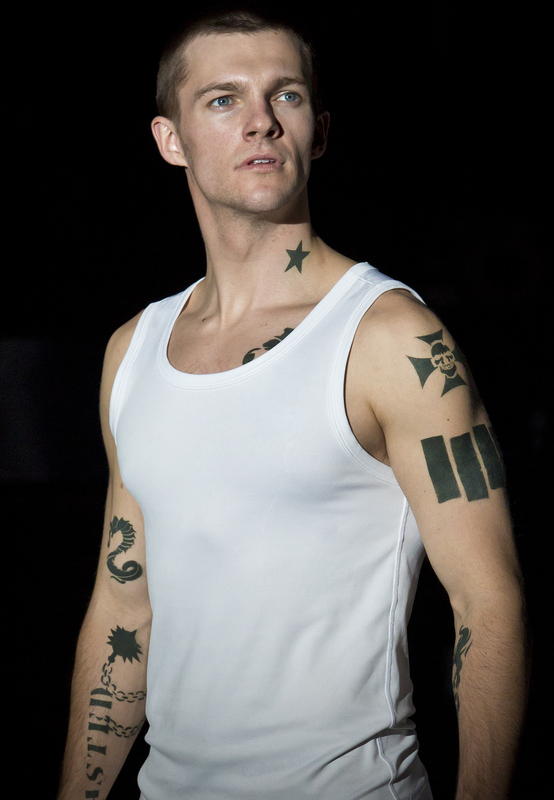 Johnny flees to the city and embraces drugs, Tunny chooses the military life, and Will has to accept the role of father. The three young men are forced to face the lives they have and the lives they have lost. American Idiot opened at the St. James Theatre on Broadway in the spring of 2010. The show ran for almost exactly one year with 400+ shows when it closed on April 24, 2011. It was directed by Tony Award winner, Michael Mayer with music composed by Green Day and lyrics by Armstrong. The cast of the original Broadway production included members of previous Broadway productions Spring Awakening, A Man for All Seasons, Journey’s End (2007 Revival), Avenue Q, and Rent. 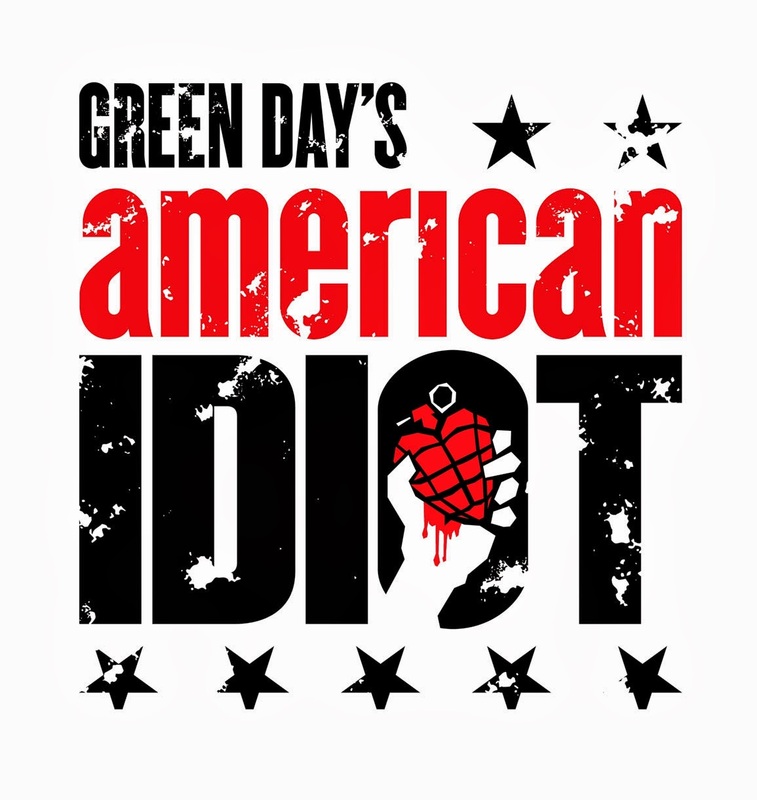 After American Idiot closed in 2011 it almost immediately went on tour and has since spanned the globe.The touring cast has changed over the years as the various tours began and ended. The current cast has been together since October of 2013 and will be making a stop on April 29th at the Durham Performing Arts Center for two nights. After the Durham, NC show, the tour will move on to Atlanta, GA and then to the west coast for a series of shows in California. The current tour is scheduled to conclude at the end of May in Denver, CO.
MAS – This show is so different from traditional musical theatre in so many ways; why not try something, “safer” as your first? Dan Tracy – I think that taking risks is one of the most exciting things about doing this. And having the taste of what it is like to be a member of Green Day also doesn’t hurt. MAS – The show has won so many awards and has been loved by so many since it opened back in 2009, did that acclaim add any extra pressure? Dan Tracy – No, any good show is going to have won awards. You definitely do your homework and put the time in to give the detail that it deserves. That is a big part of my job; it doesn’t add any pressure at this point. MAS – How do you ready yourself for a show? Touring shows have to take a lot out of you, what do you do to make sure every performance is the best it can be? Dan Tracy – I do a lot of reading to keep my brain excited and learning about the craft of acting. I keep researching different things. I stay up to date with the news to try and get myself in the mindset for the political side of the show. From there it is about keeping my body, voice, and mind clear and open and executing what I know is supposed to be the show. MAS – Tell me about you character, Tunny. What does the audience need to know about this young man? Dan Tracy – Tunny is a confused guy; he grew up in a tough family situation in suburban California. He is looking for an answer to make the pain go away. He’s got a rich emotional rift that he tries to hide from everyone. He decides after taking a trip to New York with his best friend Johnny to enlist in the military. He persuaded by this character called the favored son. The military poses that answer for him, kind of giving him a purpose. He has a difficult time with that too; he can’t seem to catch any breaks. He ends up seeing through all of the darkness into more positive light. MAS – What do you want the audience to leave the show with, in regards to Tunny? Dan Tracy – It’s about a person who has almost everything taken away from him and then still be able to move on and find the good. I think that a lot of people can relate to that in whatever way they personally see that story. Not many people have experience losing a limb in the middle-east during a very violent war. But, a lot of people have lost loved ones or they are dealing with addiction or the other themes that this deals with. My character can help contribute to that; as does Will and Johnny. MAS – How do you, and the rest of the cast, handle questions and criticism from people that come to this show thinking they are getting something closer to the album than what it is? Considering the album has sold 15 million copies worldwide, there is a lot of room for lofty expectations from audiences. Dan Tracy – There is a pressure on us, at the back of your mind. Every time I stand out and look at the audience when I am singing “Are We the Waiting” there is a lot of my emotional journey, my actions through the story of the show that are on the forefront of my mind. In the back of my brain is that fact that this song could very well be the favorite song of somebody out there in the audience. You try and think of that so that you know that you are putting in the work that you should. It is another way to motivate yourself to do your job every night when you have to do it 150 times in a row. I have never heard anyone say that they didn’t like the changes that have been made from the original album to what you hear now. They are not even really changes. It is not like anything is gone, nothing is missing they have only added things. I think some of the orchestrations have really added significant richness to certain songs. People had no idea of what they were going to get, they come to the show, they don’t know what it is about, and they are just taken aback. MAS – To build on the criticism that I have seen and heard. Some people have said that this type of show is really just a concert trying to be a musical, how do you respond to that? Dan Tracy – It doesn’t look like a golden-age book musical; it has the form of something you would see in an avant-garde movie. It is not very linear, there are so many things happening at once, there are so many pieces, there are a lot of metaphors happening, there is a lot of interpretation of different moments and there are a lot theatrical devices being used. Some people don’t see the richness when they walk in and see it the first time.